Our third awesome Author in Residence, Lisa Ann Sandell, is back with her fourth and final video for us! Check out her mini-issue at the rgz website. Throughout her visit, she has been posting at the readergirlz blog (watch her first vlog, about writing inspirations, here, and her second, about how art influences her, here). Thank you for your gorgeous contributions, Lisa! We heart you! Yes, we've loved hosting our dear Holly! Drop into any of the month's conversations, if you missed them! Are you wild or quiet? Do you have online friends? Would you give someone a second chance? How would you have handled Miranda's situation? Which secrets are the most terrifying? Our LIVE twitter chat with Holly! 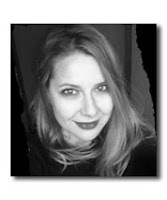 Here's a big gracias to the awesome Holly Cupala for stepping into the spotlight at readergirlz this month! We loved hearing more about Xanda and Rand's inner lives and journeys. Hearing about the creative outlets and online friends of readergirlz! We've so loved watching you shine this month. Thank you, Holly! I know many in our community remember the beloved podcasts over at Just One More Book! 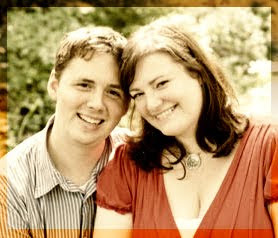 Mark and Andrea gave us wonderful years filled with their picture book passion. 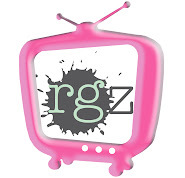 Here's my interview with Mark about readergirlz. We had a lovely time chatting. "Andrea is currently the number three fundraiser for the Ottawa Run for the Cure, taking place on October 3. Of course, when she first decided to run in support of breast cancer research, she never considered that our amazing communities (online and off) would band together to help her raise $4120 in six weeks." If you'd like to help, you can join her effort to raise money for the Canadian Breast Cancer Foundation by clicking here. Run, Andrea! We are cheering! So excited to share a site with your younger sibling in mind: ReaderKidZ! For 3 years, the readergirlz divas have been asking someone to come forward and spearhead a site with the middle grade reader being the focus. The ladies of ReaderKidZ have done just that. In fact they are focusing on picture books to grade 5. Providing teachers, librarians, and parents with the resources and inspiration to foster a love of reading in kids, K-5. So check them out and spread the news. There are several great features to explore like the Author in Residence and Tool Box. The layout is inviting and accessible. So much to love! Here's to the authors/educators for running the work: Debbie Gonzales, Dianne White, Nancy Bo Flood, and Stephanie Greene. Thanks, ladies, for contributing to literacy! Note: ReaderKidZ operates independently from readergirlz and readertotz. Holly says, "Many characters in TELL ME A SECRET have devastating secrets. What kind of secret would be most terrifying for you?" "I had a lot of ideas for this book cover. I have a sketchbook filled with them. I'm an illustrator as well as an author, so I'm in the happy position of always assuming I'll have a lot of input regarding the cover image. Even in the case of Fat Vampire, which is my first book which contains no illustrations whatsoever. "So I have a few thumbnail sketches of the slushie cup option that are very similar to the finished cover. I also experimented with a couple silhouette designs, one of which I illustrated in a finished form that appears on the case, beneath the jacket. I have a couple designs that feature my main character, Doug, with a bat head. I have a couple ideas that would have featured model shoots with teen girls eating red popsicles, which are melting, blood-like, down their necks. In these Doug the vampire is leering from the background. Anyway, I had a lot of ideas, not all of them good..."
See some of Adam's sketches, and read the rest of this Cover Story, at melissacwalker.com. Thanks, John. We will remember. "My first response to the HB cover = Magical! The night flight on ChChka captured the adventurous aspect of novel, as well as the romance between Kipp and Zalika. It didn't evoke the darker elements of the novel. Later feedback said the image appealed more to younger teens than older teens, so they changed the paperback..."
See the paperback cover and hear more of Janet's story, plus enter to win a copy of the book, at melissacwalker.com. Holly says, "How did you feel about the ending? Do you think you would have given Kamran a second chance?" Follow up: Have you ever given someone a second chance? August: How Would You Have Handled Miranda's Situation? Holly says, "How do you think you might have handled Miranda's situation? Do you think she handled it well or badly?" Story Secrets: DELACROIX ACADEMY: THE CANDIDATES by Inara Scott + Giveaway! It's very exciting to be posting about my friend Inara Scott (fellow Northwest debut author who invited me to talk TMAS at Romance Bandits! ), whose debut paranormal thriller, THE CANDIDATES (DELACROIX ACADEMY) hit the shelves this week! Her novel promises suspense, secrets, and very definitely some romance. PLUS Inara has generously offered not one but TWO giveaway copies. Check out the entry rules below, and give a warm (and maybe even fiery!) welcome to Inara! DELACROIX ACADEMY: THE CANDIDATES is the first in a new series about Dancia Lewis, a girl with powerful -- but uncontrollable -- psychic powers. When Dancia is recruited to attend prestigious Delcroix Academy, despite her lackluster grades and concerted attempts NOT to be noticeable, she can't help but wonder why. And then there's the attention she's getting from the hottest guy at the school, and the conspiracy theories from her new friend Jack. Dancia's going to have to unravel the mystery, before it's too late. Holly Cupala: Delacroix Academy looks fiery and fabulous. Where did you get the idea for it? Inara Scott: My favorite genre when I was in high school was fantasy (David Eddings, Anne McCaffrey) and there were always very clear good guys and bad guys in those stories. I wanted to explore the idea of a world in which there were mysterious, paranormal forces, but no clear way to tell the good from the bad. Read the rest for a chance to win a copy of DELACROIX ACADEMY: THE CANDIDATES here! Rgz Salon: Sharon Levin "Who says kids aren't reading?" 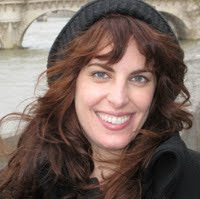 A wesome book reviewer/book evangelist Sharon Levin is here as part of the rgz SALON, a feature where four of the top kidlit experts clue us in to reading and YA trends. "Thirty five years after I was in junior high (go ahead, I’ll wait while you do the math) I am FINALLY cool to teens BECAUSE I read their books (believe me when I was an actual junior high student I was anything BUT cool). I find I can talk to almost any kid because I just ask them what they’re reading and then the conversation goes from there. I do not cut down their tastes (even if they’re reading Twilight, we are all allowed our ‘trash’ reading) and I love to hear how they view various characters and plot. "We know the stereotype of 8th graders: too cool for words, into fashion, video games, boys or girls and perhaps sports. Excited about a book? Nope, that’s not what we think of. Well, let me tell you about my morning. "Today, I paid a surprise visit to my daughter’s 8th grade Language Arts class (YES, I asked her permission first, so it wasn’t a surprise to her, just the teacher and her classmates). 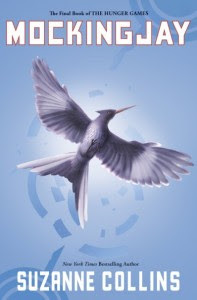 I had gone to Kepler’s (our local, independent bookstore) to pick up Mockingjay, the final book in Suzanne Collins’ Hunger Games trilogy that was just released. "Of course, I also handed a copy to my daughter, so she can start reading it during SSR (Sustained Silent Reading) today (why else do you think she gave me permission to come into her class on the second day of school?). "I left with a huge grin on my face and realized that I had not said a single word while I was in the room. I didn’t have to, the book said it all." Featured Author Holly Cupala hand-picked songs for the playlist that accompanies Tell Me a Secret this month (and how cool is that peek at the mix, left?). Listen to the full soundtrack with the player in the right-hand sidebar or in the August issue! 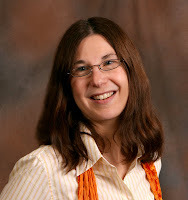 Story Secrets: DANGEROUS NEIGHBORS by Beth Kephart + Giveaway! Perhaps you've been waiting anxiously for this day because a gorgeous, brilliant, and much-anticipated book is hitting the shelves at this very moment. That day has arrived! 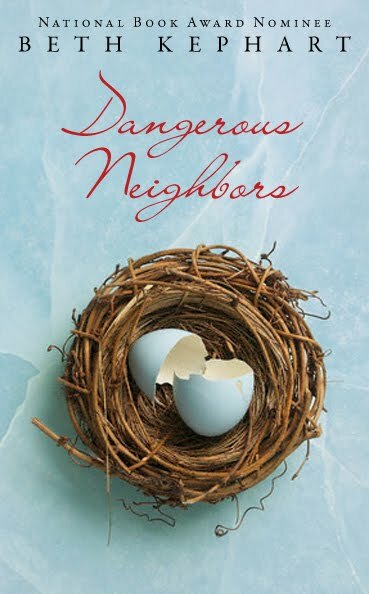 Today, Beth Kephart's latest exquisite novel, DANGEROUS NEIGHBORS, is born! So if you happen to be at the bookstore for any other reason, please pick it up and savor it like the rarest and finest of chocolates. I'm thrilled and proud to welcome Beth to a special edition of Story Secrets to spill some of her DANGEROUS NEIGHBORS secrets - and she has generously offered to give away one book (see entry info below)! DANGEROUS NEIGHBORS is the story of twin sisters set against the backdrop of 1876 Philadelphia, the Centennial year. When the novel opens, Katherine has lost her sister, Anna, to an untimely death and, feeling responsible, is unwilling to live on. She chooses a hot Saturday in early September to make her way to the Centennial grounds, where all the noise and commotion of the international exhibition does nothing to permeate her sadness. Chased by Anna’s former lover and contemplating suicide, Katherine is saved, at the exhibition, by an unlikely turn of events and by a boy, an animal whisperer of sorts, far outside her social class. The present day story is leavened by numerous flashbacks, where we meet Anna herself, and her lover. Holly Cupala: Such a fascinating premise, Beth! Both sisters and a beloved city. Can you tell us about how the idea began? Beth Kephart: I had been working on a book (an unusual “autobiography”) about a Philadelphia river—a book called FLOW: THE LIFE AND TIMES OF PHILADELPHIA’S SCHUYLKILL RIVER— and I kept encountering images and stories of old Philadelphia that led me in this direction. I love my city, and I always return to it in my imagination. Read the rest of Beth's secrets and enter to win a copy of DANGEROUS NEIGHBORS here! Holly says, "'We don't always know why things happen until down the road,' says Nik. What do you think about that?" Robin Benway shared her Audrey, Wait! Cover Story last week, and she's back to tell the tale of her newest release's gorgeous art. "I thought that after having gone through cover anxiety with Audrey, that April, May & June would be a breeze. So wrong! So very very wrong! It's so nervewracking to get the image of your book cover emailed to you! Read the rest of Robin's Cover Story at melissacwalker.com, and enter for your chance to win a signed galley copy of the book! Did you love Tell Me a Secret? Are you looking for more stories of sisters and self-respect? 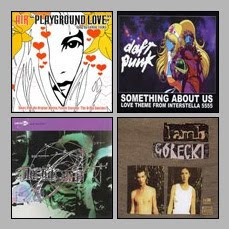 Check out these additional postergirlz recommends. They are perfect companion reads! Holly says, "When Miranda finds support, it's not at all who she expected. Have you ever found friends in unlikely places?" Happy Wedding Day, Jackie and Kyle! We're honored to have Lyn here as part of the rgz SALON, a feature where four of the top kidlit experts clue us in to the best YA novels they've read recently. 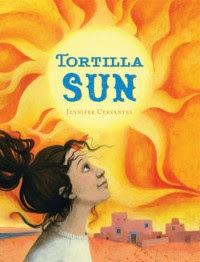 Today, she reviews Tortilla Sun by Jennifer Cervantes (Chronicle Books, 2010). "When her single mother, a graduate student, signs on to a research project in Costa Rica, 12-year-old Izzy Roybal is sent to her grandmother’s house in a New Mexican village even though Mom and Nana 'don’t see eye to eye.' Mom is a footloose scientist while Nana has never strayed from her Mexican-American roots and community. Not only has Mom kept Izzy away from her cultural heritage for twelve years, but she has also kept the youngster away from any information about her Anglo father, who died before Izzy was born. "Before leaving California for New Mexico, Izzy finds her father’s baseball, on which is written, 'because…magic,' with the words in between clearly missing. Izzy is eager to find the missing words and with them the truth about her father. Nana and Nana’s friends counsel patience. There are tortillas to prepare and decorations to put up for a birthday party. To pass the time, Izzy works on a story she is writing about a girl whose life parallels hers. Then she meets 13-year-old Mateo, a guitar-playing neighbor with an interest in finding buried treasure, and Maggie, a six-year-old orphan who is cared for by her grandmother Gip, Nana’s best friend. Mateo introduces Izzy to Socorro, the village healer, who offers more clues to Izzy’s past, but Izzy’s desire to discover everything at once puts others in danger. The super-fun Robin Benway has two Cover Stories for our enjoyment. We'll start with her awesome debut, Audrey, Wait!, and you'll get the tale behind her new cover (for The Extraordinary Secrets of April, May and June) later this week. "In my first book, Audrey, Wait!, Audrey is a character who loves music, so I always had an image of a girl's wrist covered in wristbands. Not bracelets, but the sort of wristbands you get when you have to queue up in line for a concert or to get backstage. I thought that'd be so cool! When Audrey sold, however, my publisher hired Rodrigo Corral to do the cover. I was over the moon at this news, since I had seen so many of his book covers and thought they were beautiful. "When Razorbill first emailed me the image that would become the hardcover Audrey cover, I was driving down to Orange County and my phone at the time couldn't download photos. My agent called me and was saying, 'Did you see it? Did you see it?' and I was FREAKING OUT because I couldn't see it and I didn't have my computer with me and I was an hour away from home and I NEEDED to see my book cover! "So I did what any rational person would do: I drove to the nearest Apple store, hopped onto a computer, and pulled up the image...."
Read the rest of Robin's Cover Story and see foreign editions of the cover at melissacwalker.com. Planning your own book group get-together? Here are some party ideas from the author. Food: Appetizers from Café Shiraz (Kamran's parents' restaurant! 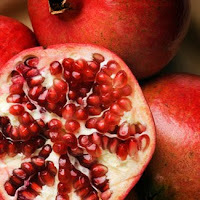 ): kebabs, hummus and pita, Mrs. Ziyal’s famous stuffed figs, pomegranates. Holly says, "After her secret is revealed, Miranda feels like an outcast. Have you ever felt like an outcast?" 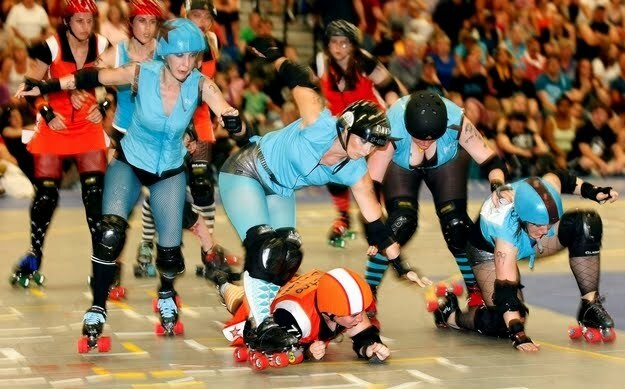 Thanks to Herald Net for this write up on roller derby! That's our own Auburn Public Librarian, Rachel McDonald, in blue on the left. Let's just say, she's not your mother's librarian! Go, Rachel! Her team, The Jet City Bombers, is going to regionals in October in Sacramento. Any other roller derby rgz out there? Story Secrets: LOVESTRUCK SUMMER by Melissa Walker! It wouldn't be summer without chatting with readergirlz diva and author Melissa Walker, author of LOVESTRUCK SUMMER - exactly the book you want to pick up for a lazy August day (especially if that day happens to involve beaches or indie music or charming Austin types or all of the above). This book is a delight - I even overheard my husband thumbing through a few pages and laughing at Melissa's hilarious depiction of Quinn's romance tribulations. So I'm very pleased to invite Melissa to chat all things Lovestruck and Summery with us today! Holly Cupala: Melissa, tell us about your inspiration for LOVESTRUCK SUMMER.